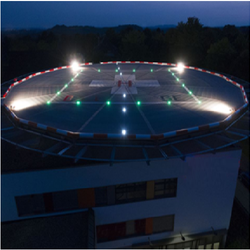 We offers a unique range of LED Aviation Light to our clients. They are presented at the best rates in the industry and are available in different shapes and size. Keeping in sync with the latest market norms and policies, we are indulged in providing a high quality range of Aviation Obstruction Light. 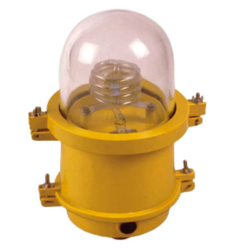 Low Intensity Aviation Obstruction Light with Built in Sensor is suitable for various outdoor applications such as telecom towers, airport etc. APPLICATION Type ‘A’ as per International Civil Aviation Organisation for structures ranging in height from 6 mtrs to 45 mtrs. Application Used at the wingtip of the aircraft for Navigation. Kripa now packs the benefites of LED lighting in its aviation warning light.Installed atop high rise structures, buildings and towers these help protect damage to life and property. Our clients can avail from us a qualitative range of Aviation Lights. These are sourced from reputed manufacturers in the industry and are at par with international standards. Our range finds extensive usage in aviation industries and is made available in different power capacity. Application: elecommunication towers. 2. High rise buildings. 3. Wire rope bridges. Features: Suitable for towers up to 50 meter. Red Color steady. IP67. With Junction Box. 3/4 Gland Entry. Aluminium LM6 casting. Borosillicate Glass. 6 circuits technology. • Lux Level at 1 meter > 32 Lux approx. - Transparent part : toughened clear, transpare, borosilicate hard glass. - Gasket : Endless neoprent.